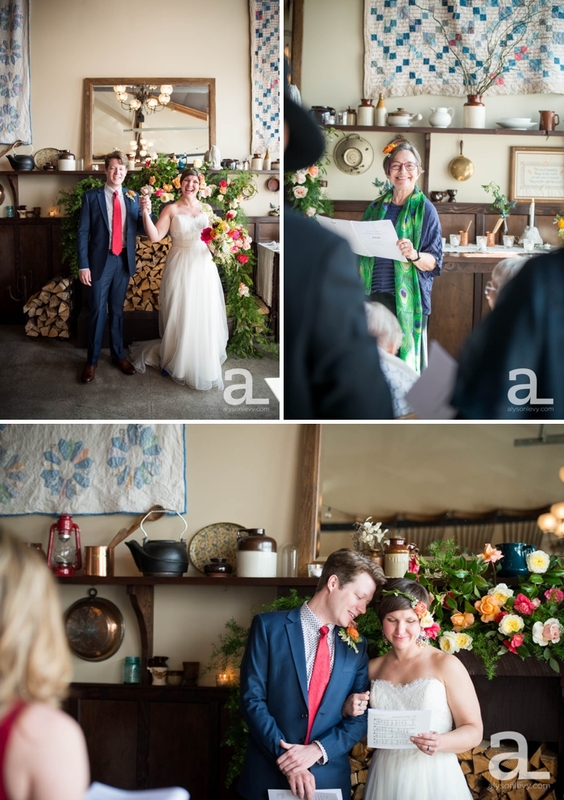 I was so excited to be a part of Amity + John's intimiate springtime wedding at the lovely Elder Hall (Ned Ludd's event space) in N Portland, Oregon. I especially love working with out-of-town brides and grooms as they put together their wedding plans, and as I scoped out their Airbnb and the neighborhood surrounding their venue so that I could make suggestions for photo locations and offer guidance about their schedule, I was already thrilled about the possibilities. As they planned their big day, a sort of bright floral theme appeared, with a gorgeous floral sash on the mantle behind their ceremony, a lovely flower crown headpiece for the bride, amazing acrylic flower earrings, and lots of other pops of springtime color (Selva Floral Design did an absolutely stunning job on this wedding!). Add to that a ceremony full of laughter and songs in which the whole family had a part to play, the gorgeous light and food at Elder Hall, and the genuine love and excitement of everyone involved, and I'd have to say it was a pretty magical little wedding. I can't wait to see the finished product of their custom wedding album! 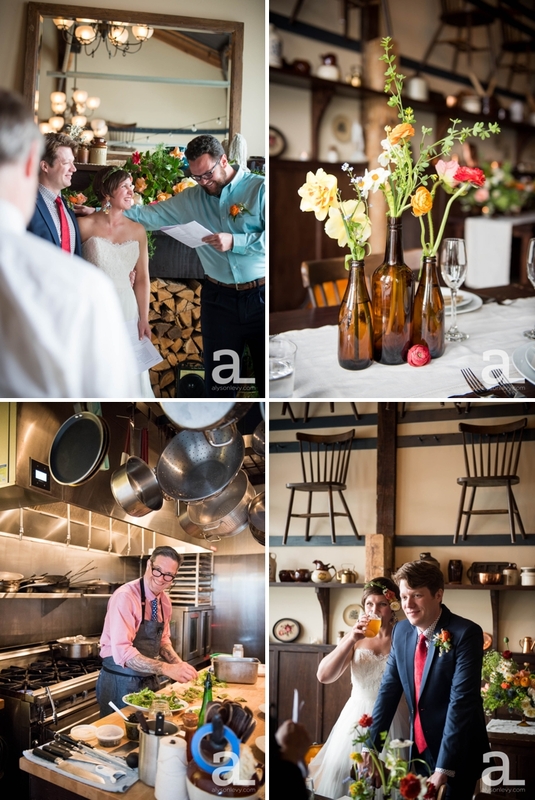 Thanks, Amity + John, for making me a part of your big day. I hope you love your photos as much as I do!